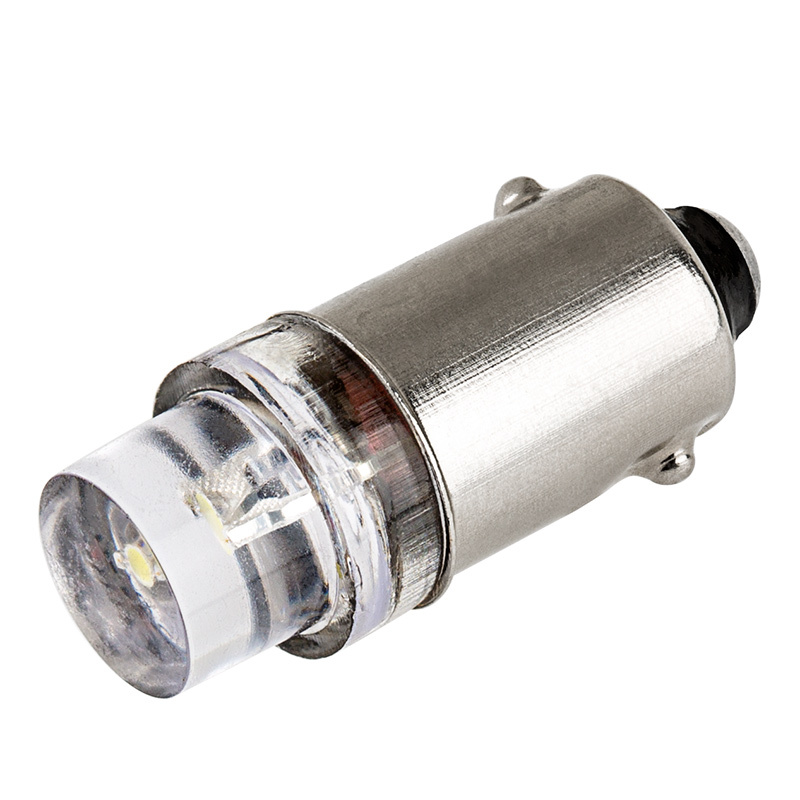 LED BA9s bulbs are commonly used in numerous industrial applications such as indicator lights and control panels. 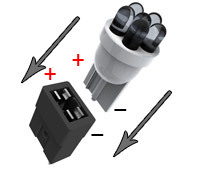 This BA9s single-contact LED bulb replaces a variety of traditional bulbs including 1445 and 17053 bulbs. 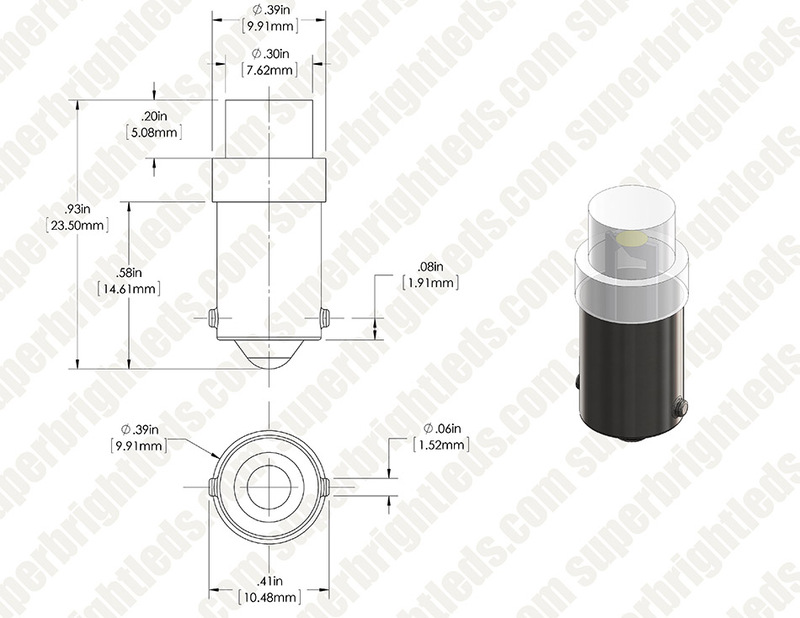 It has 1 LED that emits a 90° or wide 120° viewing angle. 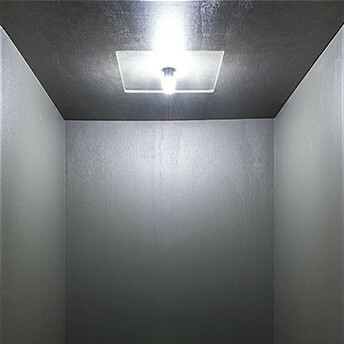 Produces up to 8.5 lumens at 3200K or 7000K. 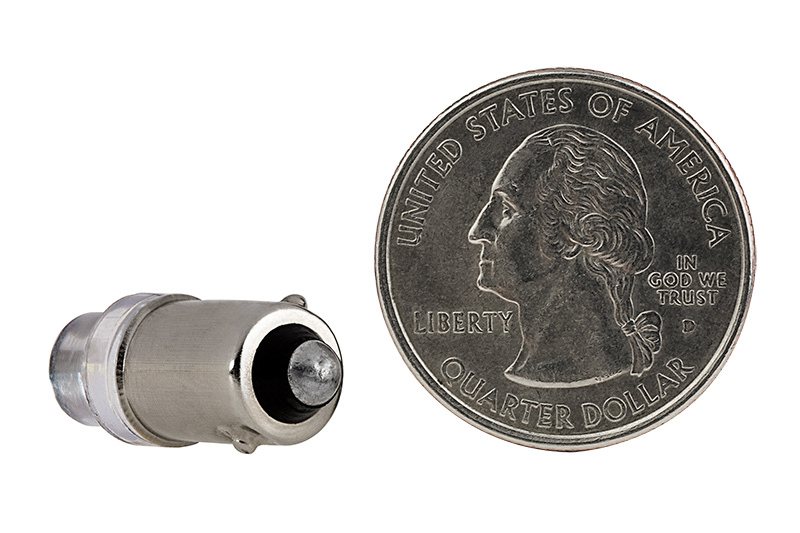 9-mm Miniature bayonet base for easy plug-and-play installation—just twist to lock in place. 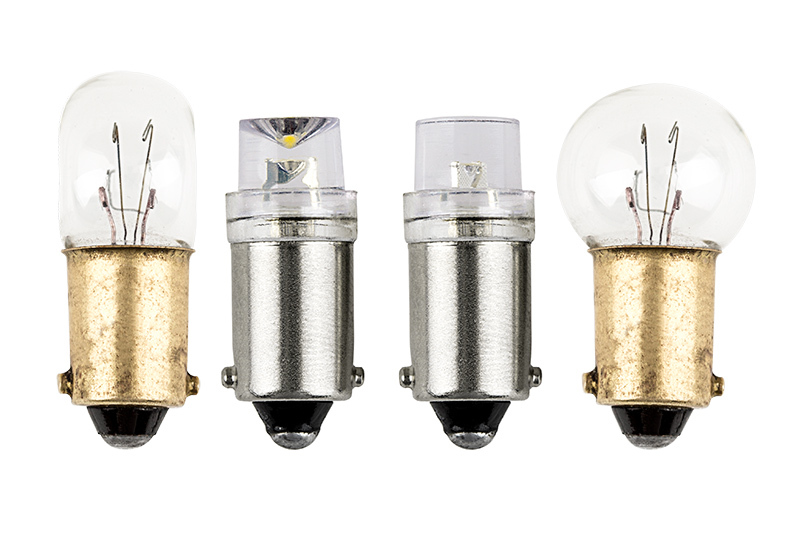 The energy-efficient bulb has 12V AC/DC operation as well as 120V AC operation and is designed to last 30,000 hours—25 times longer than incandescents. Available in cool white, warm white, blue, green, amber and red. Not sold in pairs. Price per bulb. have a whole set of Stewart Warner gauges in my hot rod. 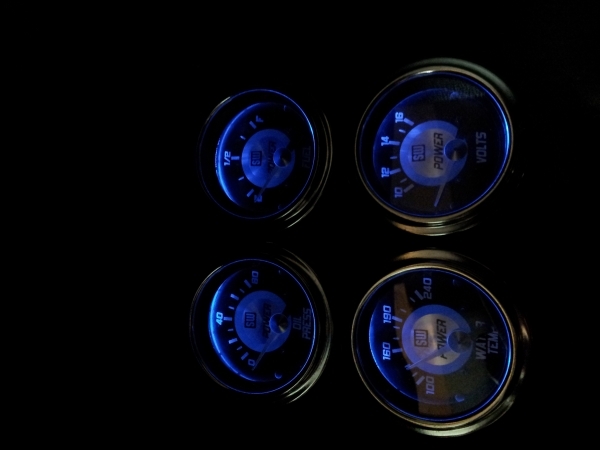 These blue led's really makes these gauges come alive, but not over the top. fast shipping and perfect packaging! I already have my next order planned. What a difference! 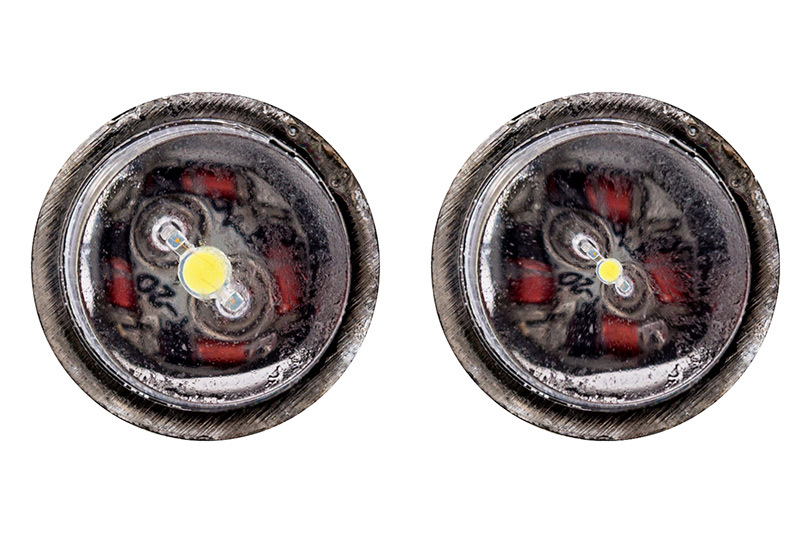 I outlined my motorcycle's speedometer & tachometer numerals with phosphorescent paint, and installed these LED bulbs to illuminate them. 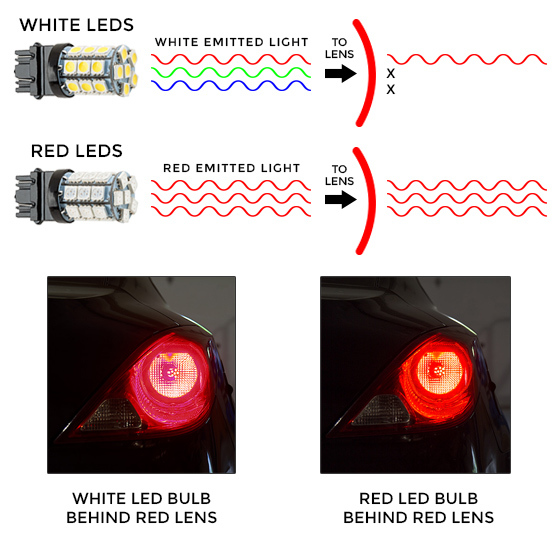 I first tried the Ultraviolet LED bulb sold by Superbright but those were not bright enough for easy reading in the varying light conditions on a motorcycle. 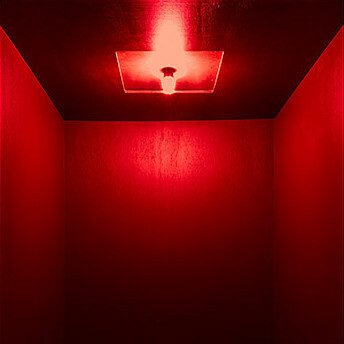 The Blue, 90 degree LEDs provide good, strong light which does not dazzle like the original white light incandescent bulbs did, and the glow in the dark paint lights up the numerals very nicely.